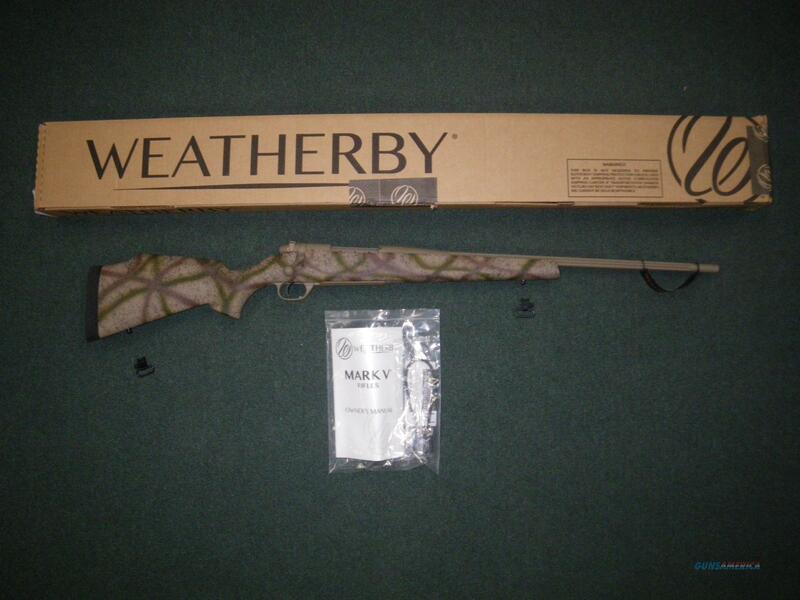 You are bidding on a Weatherby Mark V Outfitter FDE in 6.5 Creedmore with a 22" barrel. If you set me down in the brush, keep an eye on me because I’m prone to pulling disappearing acts. I do it with my natural Flat Dark Earth metalwork finish and the spiderweb design on my lightweight carbon fiber stock. The metal is also done up in Cerakote® which is as tough as a rhino’s hide. Beyond that I am a pure Mark V Outfitter with a fluted bolt body, integral recoil lug, adjustable LXX™ Trigger and a hand-lapped barrel. Displayed images are stock photos. Any questions please feel free to ask (our phone number is in the additional information tab above).